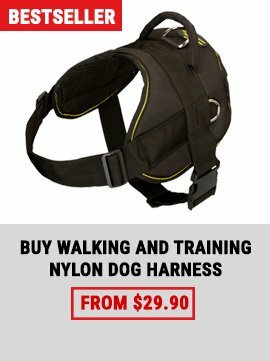 A spiked collar is a special category of dog product, which fits brave dog owner who is not afraid to stand out. 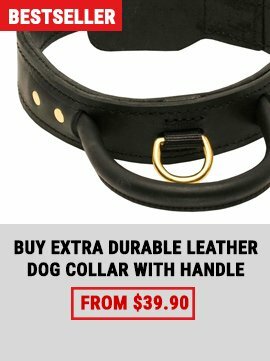 But if you have decided to buy a spiked collar, your Great Dane will always look stylish and extraordinary. 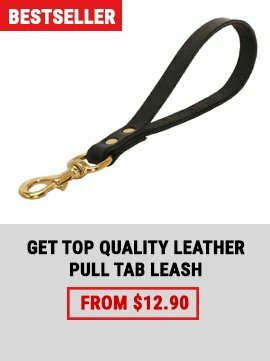 Unlike the widespread opinion, all the collars in our store are safe for the dog, as brass or nickel plated spikes are rounded to eliminate injuries and traumas. We have various models to offer you. They are available in leather or nylon material. Wide and narrow, decorated with spikes only or adorned with the mix of studs and spikes, every collar in our collection will surprise you with high quality, comfort in use and reliability in exploitation. 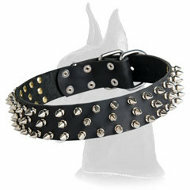 Underline your dog’s strength and power with our best spiked collar.